The housing crisis in the UK is well documented in the media, by both journalists and politicians, but could the rise of garden villages tackle this major issue that we are facing as an overcrowded country? Arbor Deck, supplier of composite decking boards, investigates what regional implications these villages might have but also what they might look like for new buyers. A garden village is a piece of brownfield land used to create housing for new communities. They are usually smaller projects and can contain from 1,500 to 10,000 homes. Often, garden villages have their own facilities — such as schools, shops and transport stations — which makes this type of living space perfect for families and first-time buyers looking to lead the picture-perfect life. There is no definitive way to describe garden villages, as they allow the communities that live there to establish their own identity and set out their own rules. However, there are a few ways to identify them. They must be a settlement outside of an existing town or city and not closely attached. The British government is currently supporting 17 locations around the country, with £6 million expected to go towards funding 14 new garden villages and £1.4 million to support three garden towns (which are similar to garden villages, only larger). There are set to be garden villages established in Cumbria, Lancaster, Cheshire East, Merseyside, Derbyshire, Lincolnshire, Stratford-on-Avon, East Northants, Oxfordshire, Essex, Devon, Runnymede and Surrey Heath, Hampshire, and Cornwall. Plans are also in place to build garden towns in Aylesbury, Taunton and Harlow, and Gilston. These towns are anticipated to provide an extra 200,000 homes. What are the regional implications? As garden towns and villages will supply Britain with more than 50,000 homes, we will see a rise in manual work in these regions as a result of the large development projects. This will help to boost the economy, as it will provide people with more jobs in the area. Also, these regions will become more populated as people will be purchasing these new homes. There is a popular misconception that this will put a strain on the resources of current residents nearby, such as school places for their children and obtaining doctor appointments. However, this is not the case, as garden villages are built with their own facilities including schools and general practices. In turn, this will also create more jobs in the area of development. Garden villages are usually built with their own transport links for easy commuting in and out of the area, although more traffic on the roads could be a problem. What will these garden villages look like? With garden villages being built on brownfield areas, we know that there will be a lot of greenery around the new homes and that these will likely have garden spaces of their own. With everything looking brand new, there will be a need for updated garden furniture and other outdoor products — but what are the current trends? Composite decking is one of the biggest trends at the moment. With the weather at a constant change, composite decking is weather-resistant and very low maintenance, which means you don’t need to worry about repairing or repainting. Another garden craze that everybody is talking about is the rise in popularity of hot tubs, whether you’re renting them or buying them. Over the past few years, it seems like more and more people are purchasing hot tubs for their gardens. In North Wales, a businessman has even had to double the size of his hot tub showroom this year to keep up with demand! These are a great addition to any garden, especially if you have a rural view of the surrounding countryside. What about other outdoor trends? According to Andrew Hartley, research director at market research company, AMA; garden buildings including sunhouses have “high potential growth” in the industry. Sunhouses are great for maximising your garden space and creating an extra room for your family without having to pay for an expensive house extension. Typically, these are small and easy to fit into your garden with enough room for a few chairs and a table to unwind with drinks and food. Sunhouses infuse your garden with character and are excellent refuges for reading, relaxing and socialising, so these are ideal for new garden village homes. Another great trend in gardening right now is artificial lawns. Slashing the time we have to spend maintaining our outdoor spaces and beautiful to look at from season to season, fake grass is a high-demand gardening commodity. If you’ve decked much of your back garden, you can add colour by creating a small space of artificial grass on the ground level, or putting a full artificial lawn at the front of your home that you don’t have to keep weeding and watering. Lighting is another outdoor feature set to be big for people setting up new homes. From hanging Chinese lanterns between decking posts to placing LED fairy lights into vintage jam jars, how you illuminate your garden is going to be in focus. Speaking of vintage, garden furniture is set to head back in time when it comes to design and textures. We’ll see more natural, traditional materials used for tables and chairs — such as teak and rattan — to create a more rustic look, as well as a rise in woven and crochet techniques for the retro effect. Needless to say, garden village homeowners will have a lot of inspiration for their green spaces. 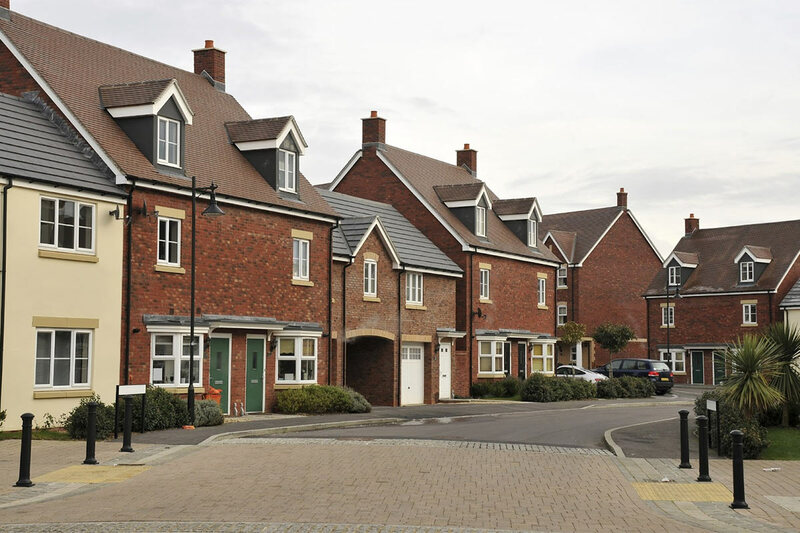 It’s expected that the rise of garden villages is set to alleviate the pressures of the housing crisis in the UK. Even with the few points for concern, such as a rise in local traffic, this is potentially a huge boost for families, communities and the entire UK economy.